The ANSUL® brand includes a full line of special hazard, fire protection products including fire suppression/detection systems, extinguishing agents, and portable fire extinguishers. ANSUL products are developed at the ANSUL Fire Technology Center, one of the most extensive fire research and testing facilities in the world. A global network of over 1,000 trained distributors supports ANSUL products. 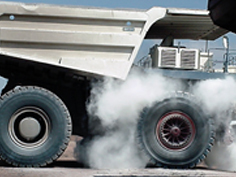 In response to the mining industry’s need for vehicle fire protection, the first ANSUL vehicle fire suppression systems was developed and introduced in the 1960’s. 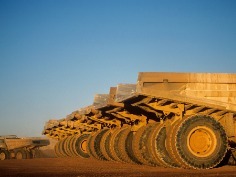 As mining equipment evolved in size and complexity, they met the challenge by providing fire suppression equipment to meet those needs. Levitt-Safety was Ansul’s first Canadian distributor and we are proud to be a Triple Diamond Distributor and Service Centre on vehicle systems. You’ll find LT-A-101cartridge-operated dry chemical systems on more heavy equipment than any other brand – and for good reason. These corrosion-resistant systems are designed to be reliable in the most hostile environments and operate in extreme temperatures ranging from -65° to 210°F (-54 to 99°C). Agent containers are available in 30, 125 and 250 lb. (13.6., 56.7 and 113.4 kg) capacities to fit a variety of applications. Dependable expellant gas cartridges are tested to detect a leak rate of just 1/4 oz. (7g) over 127 years! In response to a need for a system that would provide rapid cooling capabilities, Ansul developed the LVS liquid agent system. LVS wet chemical agent is stored in 5, 15, or 30-gallon (114L) tanks connected to expellant nitrogen cartridges. As a liquid, the LVS agent tends to flow along the same path as the burning fuel to areas otherwise not accessible to firefighters. LVS system components are corrosion resistant, built for rugged environments, and designed to operate within a temperature range of -40 to 120°F (-40 to 49°C). For 24-hour protection, the CHECKFIRE system provides automatic detection, alarm, equipment shutdown, and fire suppression system(s) operation. Its environmentally-sealed control module is shock and vibration resistant and features a self-contained internal power-source (and/or external power connection), self-checking diagnostics, and supervised circuitry. The CHECKFIRE line consists of the 110, 210, SC-N, MP-N models. Rugged heavy equipment comes with substantial fire safety challenges often requiring a significant investment in life and property protection. The ANSUL® CHECKFIRE 110 Detection and Actuation System offers cost-effective, single-zone detection and actuation for smaller vehicles used in the extreme environmental and physical conditions of industries like forestry, waste disposal, aviation and transit. The CHECKFIRE 210 Automatic Detection and Actuation System provides supervised input/output circuits to activate an ANSUL® fire suppression system. Upon detecting a fire condition, the interface control module activates the release circuit, resulting in the discharge of an expellant gas cartridge, initiating fire suppression system operation. Green, amber, and/or red pulsing LEDs, and the internal sounder notify operator of system status. The sounder only activates for faults, isolate mode, and system release. Operating components include the display module, interface control module, spot thermal detectors, linear detectors, electric manual actuators, protracting actuation devices (PAD), electricpneumatic actuators, and cables for power, detection, and release circuits. The entire system is electronics based for supervision, communication, and control of system components. The CHECKFIRE SC-N Electric Detection and Actuation System furnishes fire detection for equipment hazard areas. Its unique actuator allows actuation of a pneumatically-actuated fire suppression system either manually or automatically. The CHECKFIRE SC-N system is typically used with an ANSUL A-101 Vehicle Fire Suppression system for 24-hour protection of equipment.The system is particularly suited for protection of equipment that is subjected to extreme environmental and physical conditions, such as vehicles used in forestry, mining, agriculture, construction, public transportation, public utilities, landfill, and waste disposal. The control module can be utilized as a self contained system, powered by ts own internal Lithium battery. This allows the detection system to operate around-the-clock without use of external power. Optionally, external power can be connected to the control module. With external power connected, the internal power source provides battery back-up. When connected to an external 12/24 VDC supply with the internal battery also connected, the external power source becomes the primary supply, while the internal source is maintained in a standby mode of operation. The control module may be installed where the ambient temperature is between –40 °F to 140 °F (–40 °C to 60 °C). The CHECKFIRE® MP-N Electric Detection and Actuation Systemfurnishes fire detection for equipment hazard areas. Its unique actuatorallows actuation of a pneumatically-actuated fire suppression systemeither manually or automatically. The control module can be utilized as a self contained system, powered by its own internal Lithium battery. This allows the detection system to operate around-the-clock without use of external power. The combined performance of the A-101/LVS Twin-Agent Fire Suppression System provides the ultimate protection. While the FORAY dry chemical knocks down flames, the LVS agent cools surrounding areas, minimizing the possibility of reflash. The fire suppression system can be used as a protection of large, off-road type construction and mining equipment such as large excavators/shovels, draglines,haul trucks, and wheeled loaders. 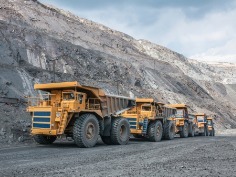 The system also protects underground mining equipment and specialty vehicles such as slag pot and/or slab carriers and tunnel boring machines, as well as waste management equipment and forestry vehicles. FORAY multipurpose dry chemical agent may be used to combat fires in ordinary combustible materials such as wood, cloth, paper, rubber and many plastics (Class A), as well as fires in flammable liquids, gases and greases (Class B), and fires involving energized electrical equipment (Class C). The FM Approved twin-agent combination has been proven effective in applications where superheated equipment, like a turbocharger, is used.